Franz “Gockl” Hahn was born on 8 October 1915 at Salzburg. At the age of 18, he volunteered and was accepted into the Austrian army. In 1935, Hahn transferred to the Air Force in the following year and underwent flying training. Following the Anschluß of 1938, he was transferred to the Luftwaffe. On 1 September 1938, Hahn transferred to 2./JG 331. On 1 May 1939, 2./JG 331 was redesignated 2./JG 77. 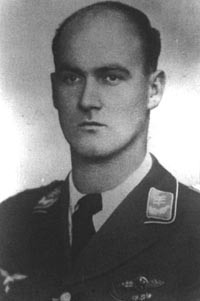 Oberleutnant Hahn participated in the Polish invasion. On 1 March 1940, he was appointed Staffelkapitän of a Schulstaffel formed within I./JG 77. He relinquished command of the unit and returned to 2./JG 77 on 25 March when the unit was disbanded. On 31 August 1940, Hahn was appointed Staffelkapitän of 2./JG 77. He was to be particularly successful during the aerial battles over southern England during the summer of 1940. Hahn recorded his first victory the same day, when he shot down a RAF Hurricane fighter. On 21 November, 2./JG 77 was redesignated 11./JG 51. By the end of 1940, Hahn had seven victories to his credit. Hahn led 11./JG 51 into the invasion of Russia. He recorded three Russian I-153 biplane fighters shot down in the Kobryn area on the opening day of Operation Barbarossa, 22 June 1941, to record his eighth through 10th victories. Hahn shot down three Russian DB-3 twin-engine bombers on 24 June (11-13).  On 10 January 1943, Hauptmann Hahn was appointed Gruppenkommandeur of I./JG 4 then forming at Mizil in Rumania. The Gruppe was tasked with aerial protection of the oil refining facilities at Ploesti. At the end of November, I./JG 4 was withdrawn to Germany. Following rest and re-equipment at Bad Wörishofen, Hahn led I./JG 4 to Italy in late December 1943. On 22 January 1944, Hahn led the Gruppenstab off from Littorio. The unit encountered Allied P-38 and P-40 fighters and in the ensuing aerial combat, Hahn was shot down. He attempted to bale-out of his stricken Bf 109 G-6 but hit the tail plane. Probably unconscious, he was unable to deploy his parachute and fell to his death two kilometres southeast of Littorio. Hahn was posthumously awarded the Deutsches Kreuz in Gold on 3 April. “Gockl” Hahn was credited with at least 17 victories.